Make connections that help our whole community thrive. Industry growth can only happen through moment-to-moment, individual contributions that add up to a greater whole, like a picture takes shape in a puzzle, piece by piece. We want to make this year feel inclusive and diverse so all are welcome. Make your contribution in the Studio. Appropriate submissions include AR/VR design tools, adaptive technology, laser-scanning devices, high-speed imaging systems, motion-capture systems, stop-motion animation software, rapid-prototyping machines, interactive drawing tools, physical computing devices or objects, and exploratory platforms. Submissions that lead to a structured activity involving attendees are strongly encouraged. With something for everyone, the 2019 Studio promises to be a unique source of education, professional growth, and fun. Log into the submission portal select “Make a New Submission,” tab and then select “Studio”. To see the information you will need to submit, view the Sample Submission Form. To submit a Studio Installation please select Installation as your presentation format and select the Installation category. All Emerging Technologies and Studio Installations will be juried together and the Jury will determine which program the installation best fits within. This should include size, space, and environmental requirements to display your work. Required information and materials include: Size/space requirements; Lighting needs; computer, monitors, controllers, printers, microwaves and any other hardware required to demonstrate the project. Also, please review the Proposal Guidelines and the Submission Formats documents below for more information. To Submit a Studio Workshop go to the “Make a New Submission” page and select “Studio”. In the “Presentation Format”, select “Studio Workshop”. 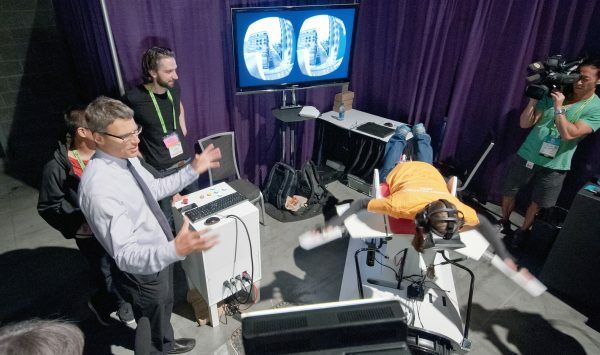 For SIGGRAPH 2019 we are also looking for Studio Workshops that focus on adaptive technology, appeal to many levels of expertise, and bring an element of participation and fun. We are looking for new technology that supports the SIGGRAPH 2019 theme. If you would like us to consider your technology, please contact the Studio Chair. What is the technology (hardware, software, etc.)? Who is the technology intended to serve? (artists, professional studios, etc.)? At what stage is the technology (early prototype, on the market, etc.)? Innovative: Pushes the boundaries of creative process: uses design, computer graphics, or interactivity in exciting new ways. Participatory: Involves attendees in a meaningful, hands-on, productive experience. The project is active and has a tangible or persistent digital output that participants can keep. Collaborative: Requires working in pairs or teams of practitioners or educators, or enables collaboration among participants engaged in the project. Core: Teaches foundational concepts in artistic or creative studio practice; gives participants practice in essential digital or traditional analog skills. Workshop proposals will be evaluated based upon their relevance to the Studio’s goals and these four main criteria: concept, novelty, interest, and quality. Accepted workshops will also make effective use of the computer classroom for hands-on learning. Note: Your submission should not require an attendee to purchase hardware (circuit boards, micro controllers, etc.) in order to attend the workshop. SIGGRAPH reviewers cannot sign non-disclosure agreements for submissions. For information on Patents and Confidentiality see the Submissions FAQ. If your Installation is accepted, you must prepare and submit a revised abstract (two pages maximum). This abstract must be submitted by 7 May 2019. Please prepare your abstract using these templates and instructions. 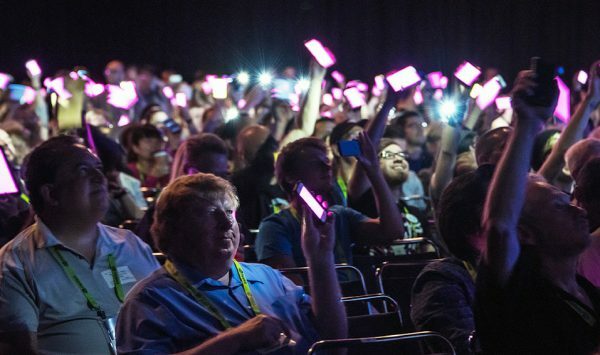 If we do not receive your revised abstract by 7 May, you will not be allowed to present at SIGGRAPH 2019. After acceptance, the submission portal will allow you to update basic information about your work and upload any final materials for inclusion in the conference program and website. This information needs to be finalized one week after acceptance. Final versions of accepted work must be submitted before required deadlines (normally one week after acceptance notification). You will receive information on how to submit final versions of your accepted work and the deadlines for final updates. Accepted Experience Presentations, Workshops, and Projects will be listed in the official conference documentation. If your project is accepted, you are required to have at least one person present at all times during the conference. This includes lunch times, as the venue does not close down until the end of the day. This also includes during times of an Experience Presentation, if your submission was also accepted for an Experience Presentation. Travel support is not provided. Limited conference registration is available for selected project contributors. 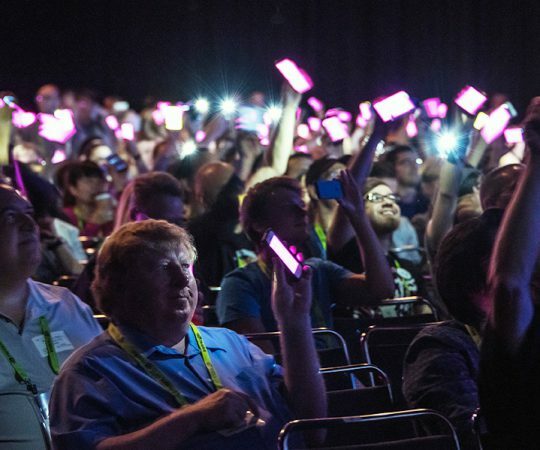 Please review the SIGGRAPH 2019 Recognition Policy. You will need to bring your own materials, supplies, and computing power necessary for your project. Network connections are provided. 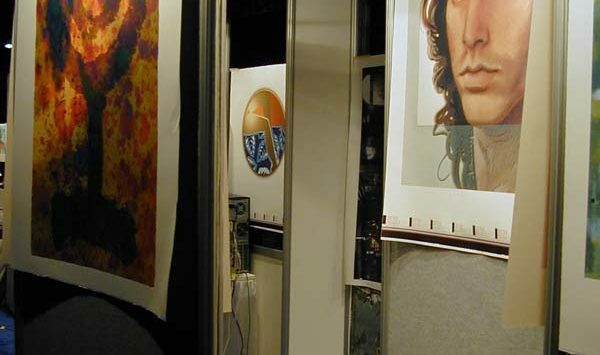 Studio personnel will contact you regarding your space requirements and options. You are responsible for bringing or shipping any necessary equipment to Los Angeles, California and for return shipment of the equipment. You must also complete shipping, insurance, and other required forms and return them in a timely manner. Sign should be no larger than 22”x28”. Your organization’s logo is permitted on the sign up to 12”x12”. Multiple organization logos must also fit within the 12”x12” space. If your installation requires use of a screen, the screen may use a logo up to 6”x6”. Failure to adhere to these rules will result in removal of the sign. Looking for brand visibility beyond the offering listed above? Contact Exhibition Management to review additional opportunities. Looking for additional brand visibility? Please reach out to Hall-Erickson to review additional opportunities. Deadline to make any changes to materials (i.e. approved title changes, presenter names, descriptions) for publication on the web site. Abstract (two pages maximum) due. 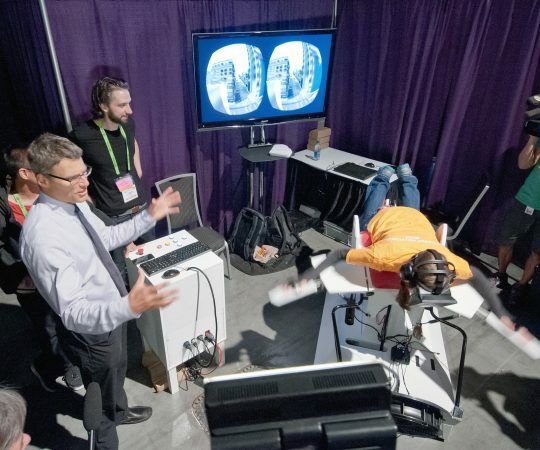 If we do not receive your revised abstract by 7 May, you will not be allowed to present at SIGGRAPH 2019. A 30-second video due. To be used for promotional purposes. Shipping and insurance for installations finalized. If Your Work is Accepted for Presentation at SIGGRAPH 2019: You must complete the ACM Rights Management Form. The form will be sent to all submitters whose work is accepted. Your representative image and text may be used for promotional purposes. Several SIGGRAPH 2019 programs – Art Gallery, Art Papers, Real-Time Live!, Technical Papers, and all installation programs – will prepare preview videos for pre-conference promotion of accepted content, which may include a portion of the video you submitted for review. You have the ability to grant or deny us the ability to use the representative image and submitted video for these purposes. New technologies, tools, and techniques that make, build, transform, and create things are what the Studio is all about. These technologies should provide new ways to acquire data, transform information, or produce tangible results. They will be used in the Studio by attendees from all backgrounds and experience levels. We encourage you to envision how attendees might benefit from learning about, and using, your technology. In the past, the Studio has presented 3D printers, CNC machines, laser cutters, vinyl cutters, Arduino kits, and more. Submissions that focus on how these tools can support the creation of transitional spaces are encouraged. Manufacturing Technology – Proposals that include and promote the next wave of manufacturing technology are strongly encouraged. Whether you’re making the next style of 3D printer, or building the machine that will replace it, we want it in the Studio. These technologies will be given high priority. Interactivity – Proposals that encourage physical engagement in virtual displays or physical displays as well as the inverse of virtual data or digital input that encourages physical action will be given high priority.  Experience Design – Members of this newly formed design community are encouraged to submit practical, experimental, substantiated, and theoretical proposals on creating an experience. 3D Worlds Design – This topic includes processes, production, content generation, concepts, or strategies in 3D imaging, gaming, or wearables. AR/VR Design Tools – Submissions in this category should focus on the Studio topic of places that are synchronous. Interaction, usability, and playability relationships will be given priority. Adaptive Technology – Proposals that include new ways computer graphics and interactive techniques can help alternatively abled people in their day-to-day lives. The Studio is interested in all technologies that engage the attendee and allow them to create something on the spot. Don’t hesitate to apply even if you don’t fit one of the above, but feel you have something people need to experience. Have something you think will fit? New technologies, tools, and techniques that make, form, augment, explore, and construct are what the Studio is all about. These technologies should provide new ways to represent data, interpret information, or produce tangible results. Studio attendees from all backgrounds and experience levels will engage with the work you present. We encourage you to envision how attendees might benefit from learning about, and using, your technology. Installations are hands-on projects that encourage creative activities designed to engage and teach while producing a tangible or digital result. Installations will be presented in the Studio throughout the entire conference, providing an opportunity for attendees and project presenters to collaborate and learn from each other. It is important to consider the length of time required for a newcomer to complete the project when submitting a proposal for an installation. Durations between 30 minutes and a couple of hours are ideal. All workshops must have specific and well-defined learning objectives. Studio Workshops should educate attendees on state-of-the-art processes, workflow pipelines, or techniques ranging from beginner to advanced skill level. Preference will be given to submissions that relate to or encourage installations or use of platforms available in the Studio. Workshops in the Studio are 1.5 hours. 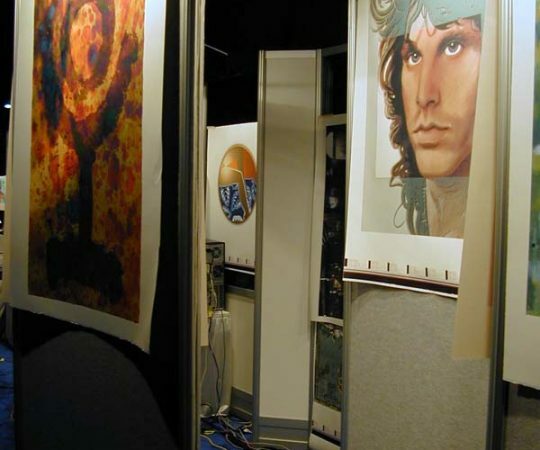 The Studio at SIGGRAPH has always been a creative place that allows attendees to make and share their art.